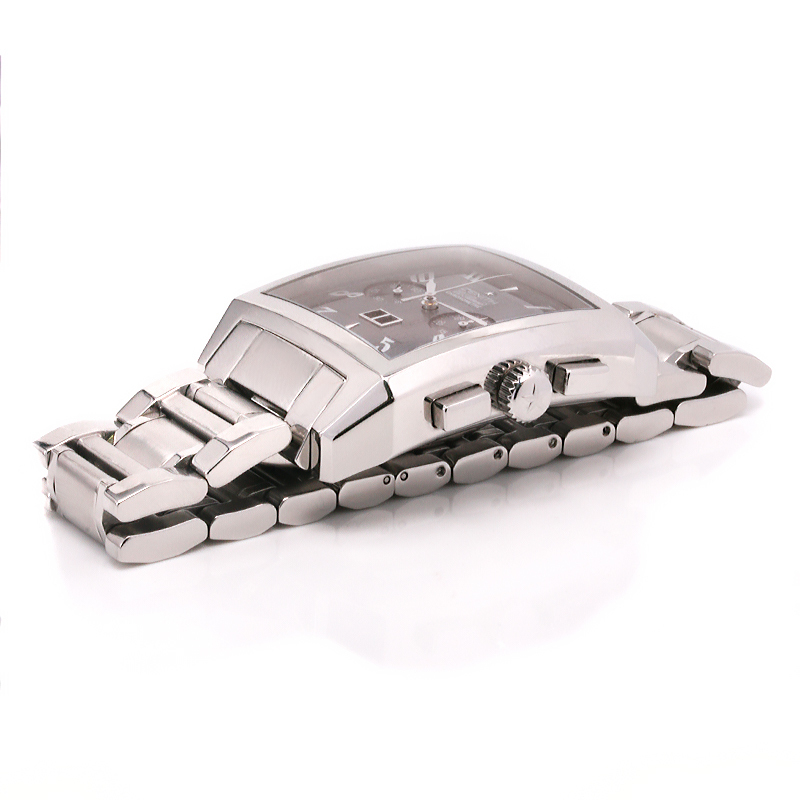 Product code: W949 Categories: Other Watches, Watches. Since its foundation in 1865, Zenith has made a name for itself as one of the finest watchmaking companies in the world, and their Zenith El Primero movement has become one of the most famous as is in this Zenith Port Royal Grande Big Date reference 03.0550.400/22. This particular Zenith Port Royal is one of the harder models to come by as it is the “Big Date’ model, with of course the enlarged date window at the bottom and is also fitted on the stainless steel band as most of these are found with the leather band. 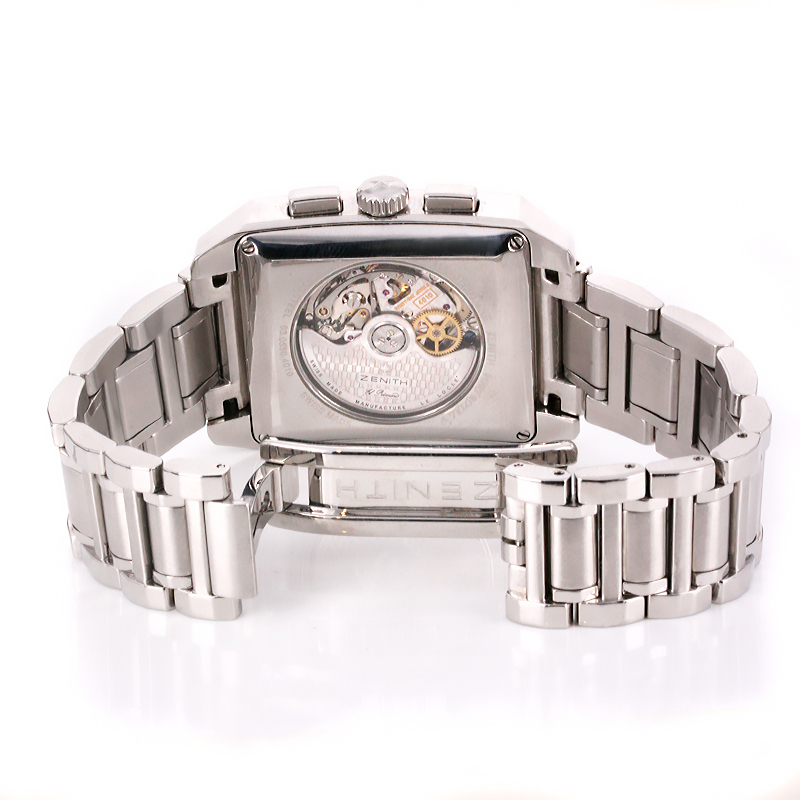 The stainless steel band gives it such a sleek look and wraps beautifully around the wrist and completes the look of the watch so well and also feels so comfortable and solid on the wrist. Many chronograph watches are often hard to read, yet Zenith have made incredibly easy to read dial that most also looks fantastic with the numbers having that flared look to them. With the rectangle stainless steel case matching so well with the squared off pushers on the side, turning the watch over reveals the exhibition window showing off the infamous Zenith El Primero automatic movement. 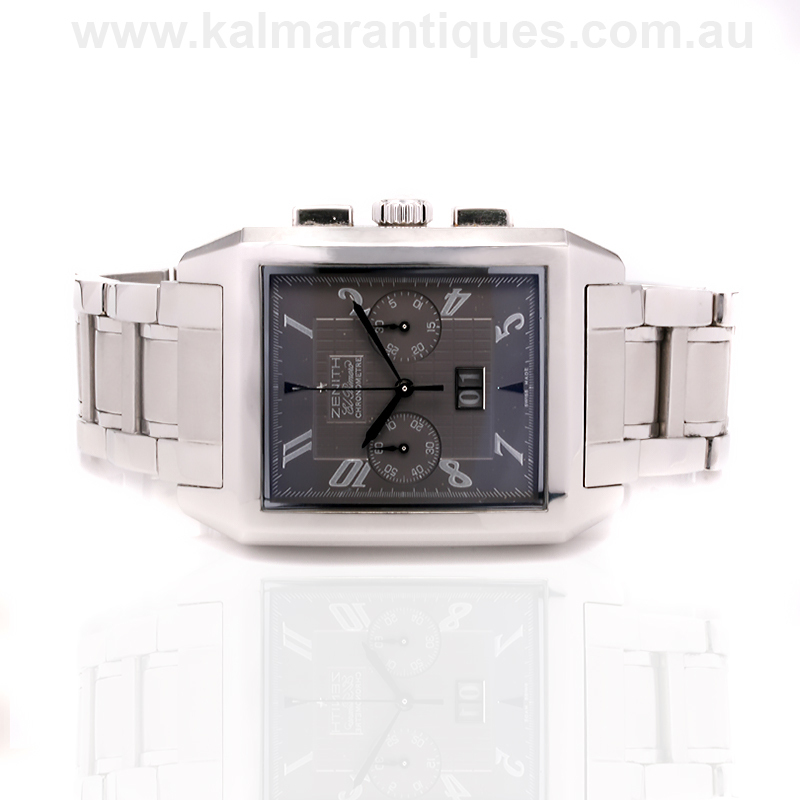 Fully serviced it runs perfectly and comes with our twelve month warranty. Complete with its box and papers, this Zenith Port Royal El Primero “Big Date” is such a great looking watch that is perfect for any occasion or situation. 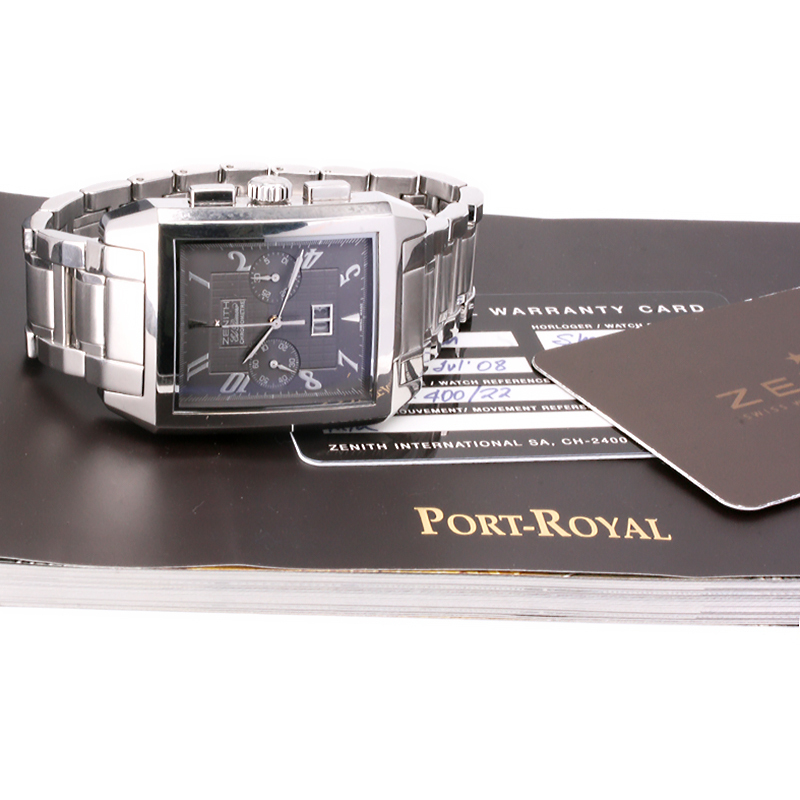 Tag: Zenith Port Royal Grande Big Date reference 03.0550.400/22.